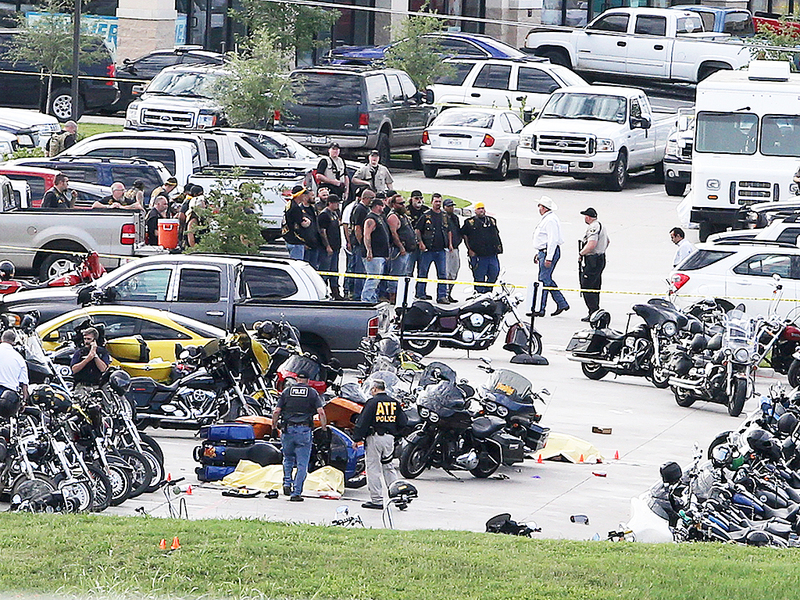 WACO, TEXAS – (CT&P) – Bobby Joe Sphincter and Daryl Leroy Dimwit, co-owners of the Twin Peaks Biker Bar and Family Fun House in Waco, Texas, told CNN the motorcycle gang recruitment party that took place on Sunday was judged “an overall success” despite massive loss of life and nearly 200 arrests. Nine people were killed and scores were injured during the wing ding on Sunday, but that did not seem to put a damper on recruiting, said Sphincter, who MC’d the event. Dimwit, Sphincter’s business partner, agreed. Rufus “Friction Burn” Baker, rush chairman for the Devil’s Buttplugs based in nearby Lubbock, told reporters that his gang picked up some promising new members including two out of work pipe welders, a retired mortician, and a “damn good” meth cook. 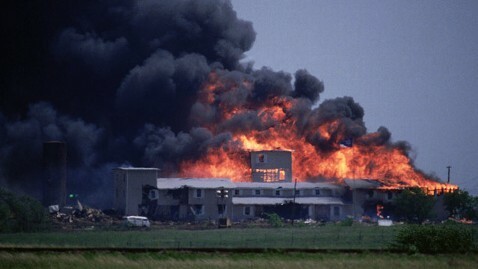 Although all of the five gangs registered to participate in the event as well as the owners of the establishment declared it an unrivaled success, Twin Peak’s corporate office has decided to revoke Sphincter’s franchise over fears that the ATF and FBI will sit on the place and reduce cash flow.